I still love crackle nailpolish. I can't help it. I know most people are totally over it, but not me. I'm gonna bring it back. Last night, the lovely Melinda and I decided to start a movement...to bring crackle back from the graveyard of passe trends. Basically, I think it'll be her and me, just using the silly hashtag until everyone tells us to shut it. I reckon it's a nice effect, and I wouldn't say I am over it... it's just I wasn't ever really into it! 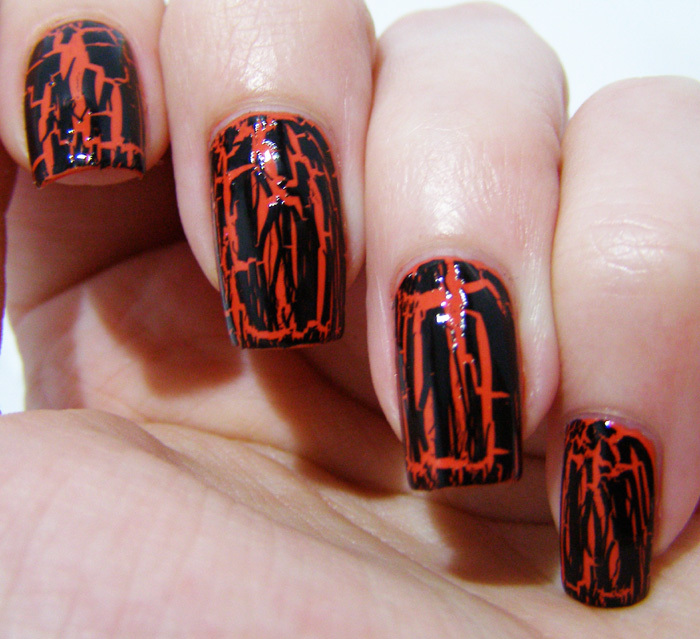 I would be totally willing to bring it back with you, I love the look of a good crackle. oooh sparkles! I love it over everything! I still love metallic crackles and China Glaze Crushed Candy. I ended up getting almost every China Glaze crackle on clearance, because they're that versatile and fun.